There’s no doubt you’ve seen a mascot before. In fact, they are everywhere. From sports teams to trade shows and charity events, many organizations have successfully used mascot marketing to promote their brands. The place you would have seen mascots used most frequently is more than likely during sporting events. These playful and enthusiastic characters represent their teams and increase fan engagement, promote their team’s message, boost media exposure and drive additional revenue. But it’s not just sports teams that can benefit from a mascot. In fact, a custom mascot will help your company build a loyal following of fans that are highly engaged and enthusiastic ambassadors of your brand. Before we get into some of the key benefits your business can realize from mascot marketing, let’s first take a look at some of the most successful companies to use mascots. What companies have successfully used a mascot? 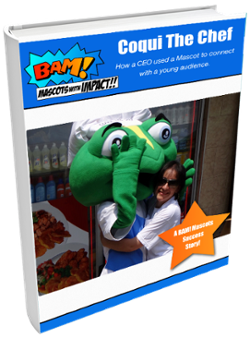 There is a large number of organizations that have benefited from the use of mascots in their marketing strategy. In fact, in one of our recent blogs, titled ‘Brand Mascots and Their Positive Impact on Consumer Purchasing Behaviour (Part 1)’, we discussed how a large number of industry-leading companies have used their very own mascots to create brand stories and drive product sales. We’d be surprised if you haven’t, but do you recognize any of these companies that have found success through the use of a mascot? Michelin - Michelin’s Michelin Man was presented in 1894 at the Lyon Exhibition. Designed as a person made of tires, the mascot swiftly became the brand’s spokesman. Nesquik - Nesquik’s bunny mascot - ‘Quicky’ - first debuted in 1973, and is now recognized by many people all over the world. The mascot was created to represent the speed and ease in which you can make Nesquik’s milkshakes. The Walt Disney Company - What do you think of when you think of The Walt Disney Company? It’s probably Mickey Mouse, right? While many characters are associated with the company, the friendly Mickey Mouse has been the official cartoon representative of The Walt Disney Company ever since it was created in 1928. There’s many more where these famous mascots came from as well - think Jolly Green Giant by B&G Foods, Kool-Aid man by Kool-Aid, Coco the Monkey by Coco Pops, Julio Pringles by Pringles, Chester Cheetah by Cheetos, Geico Gecko by Geico and many more. The evolution of technology means that your company’s approach to digital marketing is an essential component to the success of your business. 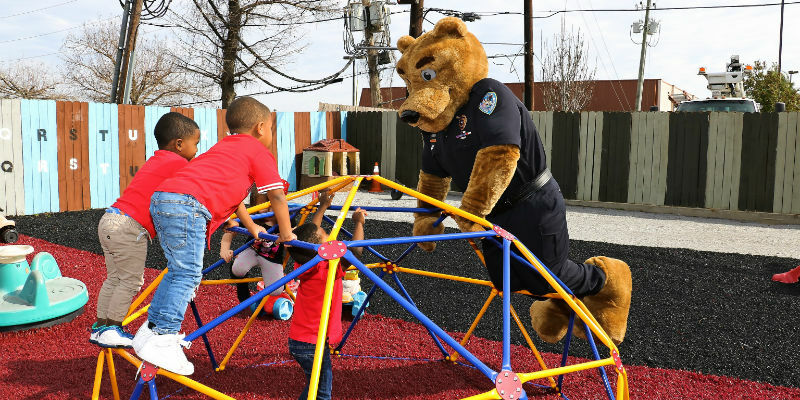 Did you know that a mascot can significantly improve your brand’s social media exposure? A powerful social media tool, your mascot can help gain your company valuable brand exposure and recognition on digital platforms. This helps to promote your business, deliver your brand message and increase engagement. It’s more than likely that your business has competitors with a similar product or service, so it’s important that you look for a competitive edge over those rival companies. Mascots make your organization stand out, and, as a result, they help to strengthen your brand identity. By creating a brand story and designing a mascot that perfectly represents your company’s values, you’ll be able to reach an audience that empathises and connects with your company on a personal level. These customers will be far more likely to purchase from your business and become loyal followers. Want to create your very own mascot? If you’ve decided that it’s time for your business to create its very own custom mascot, then you’ve come to the right place. Want to learn more about how we can help your company build a mascot, from concept to creation? Contact our team of experts today and we will be more than happy to tell you about some of our past custom mascot creations and how the design of your very own can benefit your business.